Scott Williams is the owner and Chief Executive Officer of Maga Design, Inc., a private strategic communications firm with a focus on “idea architecture”, internal alignment and branding. Scott Williams is the owner and Chief Executive Officer of Maga Design, Inc., a private strategic communications firm with a focus on “idea architecture”, internal alignment and branding. After founding Maga in 2005, Scott’s work with federal government clients has been formidable, providing strategy for CIO policy, emerging technology, internal marketing and communications. Scott’s focus on strategic planning and operational expansion has catapulted Maga as a unique player in the niche marketplace of brand marketing and communications strategy. As CEO, Scott undertakes company process initiatives and growth strategy while maintaining existing client relationships. Before founding Maga, Scott was Managing Director at BrightMark Consulting, LLP, an international brand strategy firm specializing in enterprise contracts; namely, the US Navy and IBM. As Managing Director, Scott was called upon to provide breakthrough ideas, driving notable successes in both the private and public sectors. 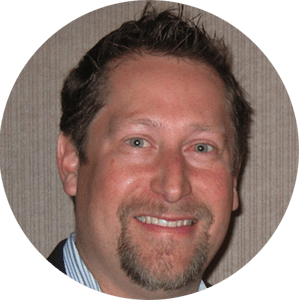 As a former Deputy Chief Information Officer at the US Naval Air Systems Command (NAVAIR), Scott achieved a top-level department position for emerging technology policy, planning, and leadership for web applications technology. Scott ran all aspects of NAVAIR’s $12 million IT applications development programs for many years. Scott is currently writing a book called The Secret Theater of Work which will focus on personal and career development. Complementary to this, in 2016, Scott launched Komo2o, a blog to help budding entrepreneurs build influence through engaging with their network. Scott is currently available for creative consulting and speaking engagements.